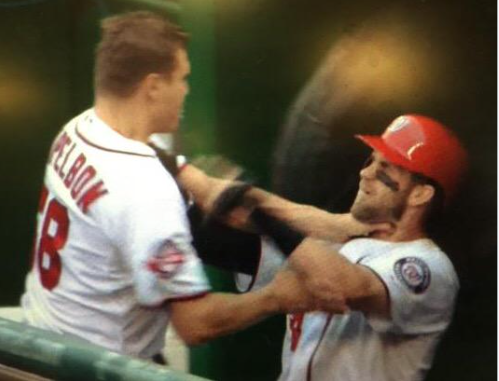 I expect Matt Williams and Jonathan Papelbon to be gone very soon after the season ends. One pretty good un-employed manager out there now is Bud Black (recently let go by the Padres), but I don’t know him well enough to say the Nats should go get him. I considered not doing this blog any longer when Mike Rizzo acquired Pap, because it showed me he no longer had any clue what the Nats needed and had really lost his way. He has not put together anything near an effective bullpen. For that alone I think the Nats also need a new GM. Not keeping RZimm or Span are 2 more bad decisions. If the Nats can afford Scherzer then they can afford RZimm too. They should also make Span an offer for a 1 or 2 year contract. RZim’s health is a big concern but they won’t part with him, he’s just too good when healthy! The Nats offense is just too inconsistent to keep hitting coach Schu. Have the new manager bring a replacement. Behind the plate both catchers are pretty good and I don’t see any better ones becoming available. But if a better one does appear on the market the Nats should try to get him.